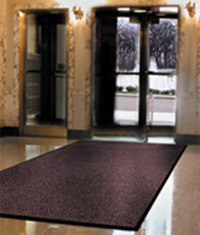 Capital Janitorial can provide a variety of mats such as carpets mats, logo mats, shower mats, runners, bath and more! We also carry items such as shower rods and curtains. Laundry items, such as, hampers, carts, and poly trucks are available. If there is an item you do not see below, let us know and we may still be able to assist you. 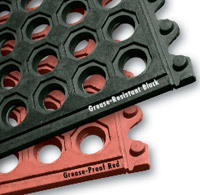 Notrax #118 Arrow Trax™ Entrance Matting (Superior) - Arrow Trax™ mats provide exceptional performance in highly visible areas that require a subtly attractive yet functional matting product. The durable herringbone pattern offers non-directional scraping action and moisture retention, and a full 38 ounces of needle-punched yarn per square yard provides the highest degree of crush resistance in heavy traffic areas.